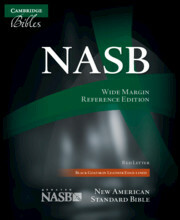 The NASB Wide-Margin Reference Edition is based upon Cambridge's NASB Pitt Minion Edition. 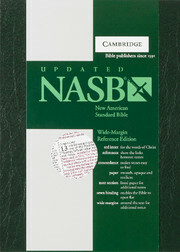 The layout and pagination of the Old and New Testaments is identical, but here the Bible text is enlarged and given the additional benefit of wide margins for note-making and the concordance is more extensive than the one used in the Pitt Minion Edition. 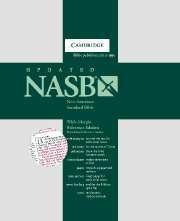 The Bible is printed on slightly thicker paper for greater durability, and (like all Cambridge Bibles) is sewn for increased longevity and also to enable the Bible to open and stay flat. This has got to be about as close to perfect for note taking as one can get.